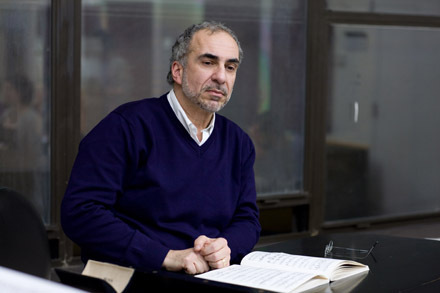 Joseph Colaneri, director of the Opera Program at Mannes, leads a free talk entitled Sinners and Saints: Three Masterpieces of American Opera, on Friday, December 3, at 7:30 p.m. at Mannes Concert Hall, 150 West 85th Street. The event also features the young artists of the Mannes Opera performing selections from Floyd’s Susannah, Ward’s The Crucible, and Menotti’s The Saint of Bleecker Street. A member of the conducting roster of the Metropolitan Opera since 1998, Colaneri has also served as the music director and conductor at the New York City Opera. Since making his conducting debut in 1987, Colaneri conducted more than 60 performances at the New York City Opera, including Il Barbiere di Siviglia, La Boheme, Carmen, Rigoletto, Tosca, and La Traviata. He is a frequent speaker on opera and serves as guest lecturer for the Metropolitan Opera Guild and the Los Angeles Opera League.